Natural beauty abounds ...sunrise to sunset! Fresh lobster & seafood keeps our docks busy year-round. A Summerfest celebration... with the "World's Fastest" lobster boats! June 26, 2018: Prior notice must be given to the Town Office before any burial activity is done at the Greenwood Cemetery. 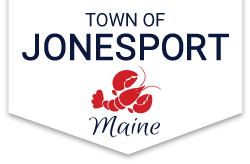 March 27, 2019: Residents of Jonesport can use PRSWDD for waste/recyclable disposal until April 30th. PRSWDD trash bags will be accepted. Jonesport combines a traditional working waterfront with beauty that inspires artists, craftsmen, and visitors alike.